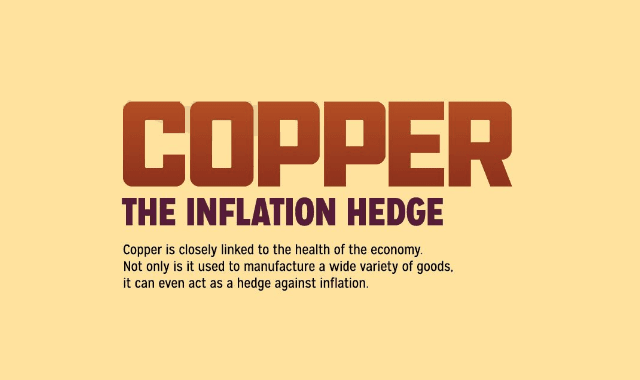 Copper: The Inflation Hedge #Infographic ~ Visualistan '+g+"
Every year, a vast amount of copper is used by the global economy to manufacture a wide variety of goods. It’s a major ingredient in big-ticket consumer goods like autos, appliances, electronics, and new homes. Simultaneously, copper is also gobbled up for many industrial uses including telecommunications, utilities, construction, and industrial machinery.